One of the most cost-effective window treatments out there in the market is aluminum blinds. These blinds have come a long way in the past few years. And while basic metal blinds are what most homeowners use, there are new and upgraded versions like the Venetian Aluminum Blinds available. What is Aluminium Venetian Blinds? Aluminium Venetian blinds are blinds that consist of horizontal slats that overlap and are fully adjustable. And they are made of aluminum, of course. The aluminum slats are available in different widths, most commonly being 16mm, 25mm, and 50mm. Aluminium Venetian blinds are operated using a wand to open and close the slats to the position that you desire but they are also able to be automated or motorized for greater control and even greater ease of use. These kinds of blinds are durable especially when you purchase those that are of good quality. Aluminum blinds are moisture-resistant and this makes them a great choice to use in kitchens and bathrooms. Some manufacturers also make their aluminum blinds from recycled metal which is a great use of resources and eco-friendly. Aluminium Venetian blinds are light, strong, beautiful, recyclable, easy to clean and affordable. And they are perfect for controlling light, which is what they are supposed to do. Aluminum is a very lightweight, inexpensive metal which makes the Aluminum Venetian Blinds cheaper and much easier to handle. This material is also known to be non-corrosive and flexible making these blinds really durable and resilient. Aluminum Venetian blinds are timeless. They offer a classic and contemporary ambiance and they are available in so many hues of colors and finishes. The best property of this specific blinds may be its naturally modern and sleek appearance that appeals to most homeowners. And not only does this make them perfect for a modern house, they would also look great in offices. Aluminium has a very high strength to weight ratio and Venetian blinds in aluminum have high durability. Aluminium is not affected by moist conditions or humidity and can be used in kitchens or bathrooms. They will not fade over time. 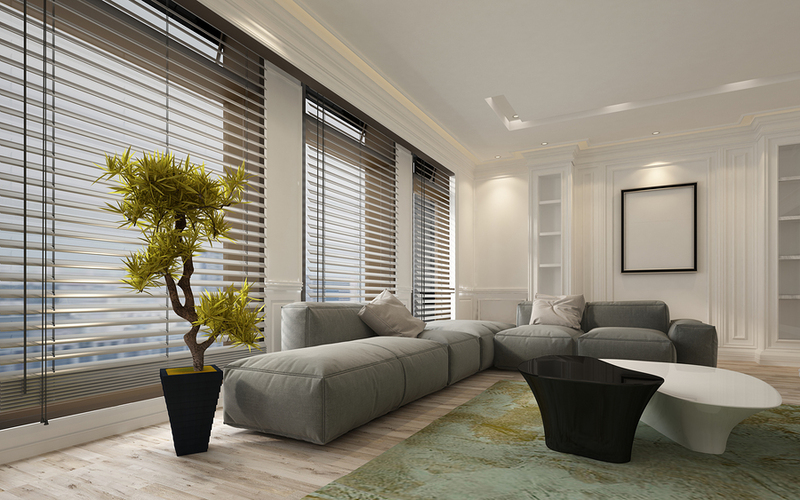 Venetian blinds are installed simply by mounting them on the window. And they are also lightweight so they are also easy to handle. Cleaning your aluminum blinds is super simple. You can just dust them off once a week and wipe down the slats with a cloth occasionally. They are available in a variety of colors so you can choose what you desire to complement your home perfectly. Another benefit of using Aluminum Venetian Blinds are their suitability to homes done in modern or contemporary styles. And not only are they stylish, they can provide different levels of privacy depending on your needs and desires. Aluminium Venetian blinds can offer a full range of light control settings. They can be completely closed for privacy since the Venetian blinds are flat-faced. Or they can be lifted up to allow maximum light. Though aluminum blinds are more expensive than the vinyl ones, they are less expensive than their timber counterparts. And they are a cost-effective window covering solution.